of the All Saints Cabin which had been knocked off its foundation by a tree. Then we checked out the renovations inside of Champions Hall. Picking indoor colors for inside of Champions Hall. New wainscoting will be added after the painting is finished. 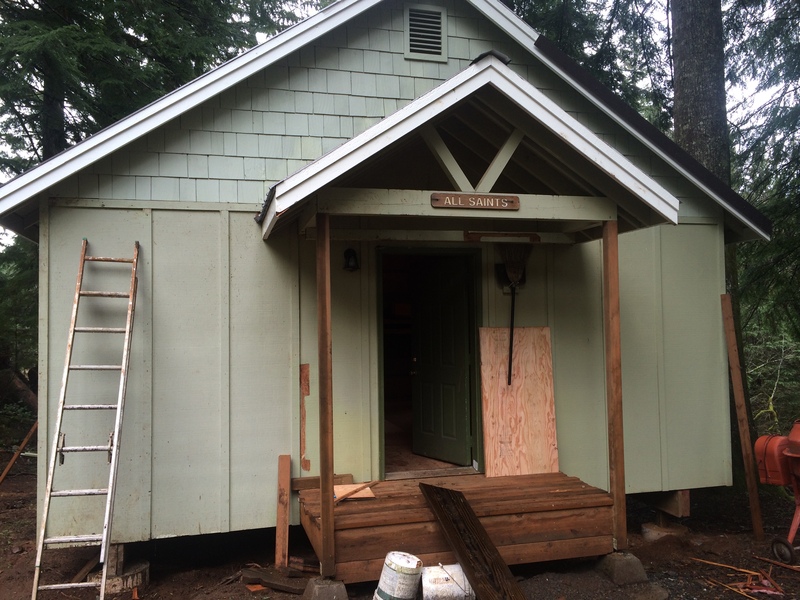 All Saints Cabin Update – Porch back in place, cabin on a new foundation and floor repaired! 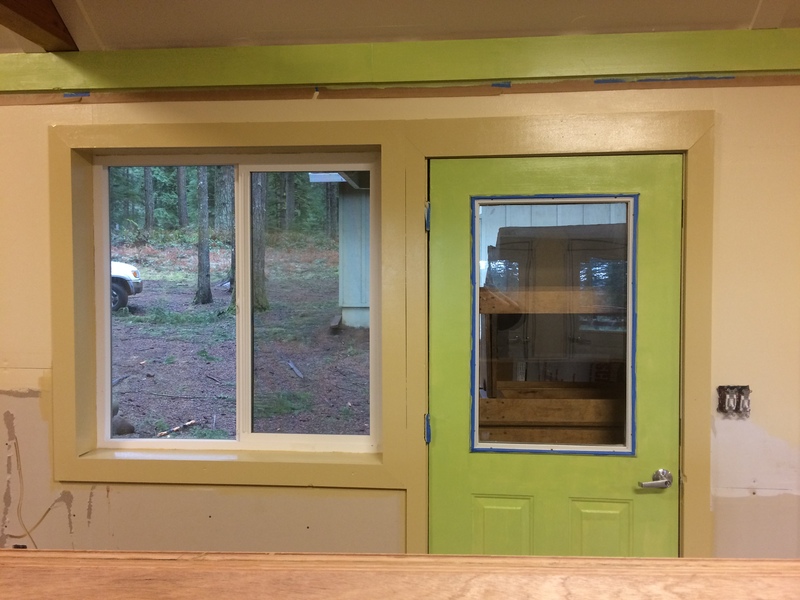 Looks great – love the paint color in Champions Hall!